Dedicated Freight Corridor (DFC), one of the largest rail infrastructure project in India, is giant strides in fructifying the project’s defined goal. 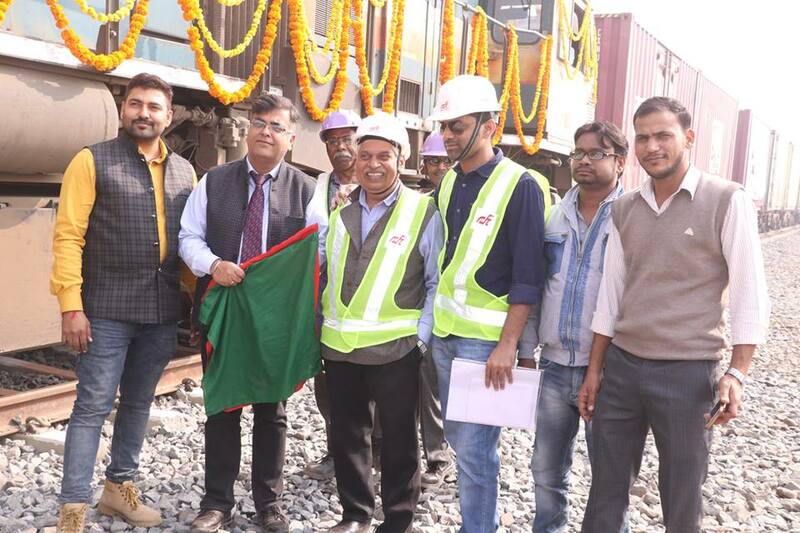 Continuing its march in this direction, DFCCIL completed the 194 Km section from Bhadan to Khurja (in Uttar Pradesh) of the Eastern Dedicated Freight Corridor (EDFC) on one of India’s busiest rail network on 30th November 2018. 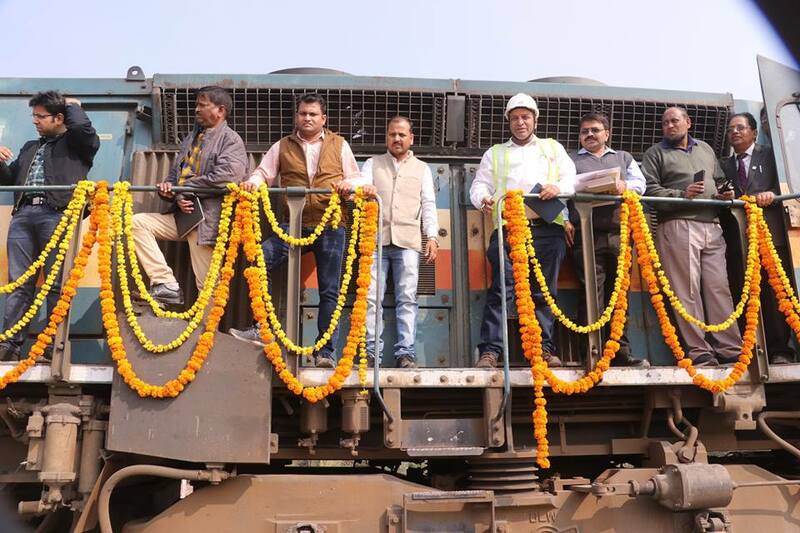 A trial run of freight train on this newly completed section was done today in the presence of Shri. Anurag Sachan, MD, DFCCIL, Shri. Anshuman Sharma, Director/PP and senior executives of Tata Projects & Alstom, besides senior officials from NCR, DFCCIL and other stakeholders. Located between Delhi – Kanpur section, the Bhadan – Khurja stretch has 6 stations and a total of 249 bridges consisting of 17 major, 137 minor, 92 Rail Under Bridges (RUB) and 3 Rail Fly Overs (RFOs). Trial run of a commercial freight train in this section is scheduled on 30.11.2018. Freight trains on DFCCIL will be capable for attaining speeds of 100 kmph as against the current maximum speed of 75 km/h on Indian Railway. Notably, on 29.11.2018, Shri Ashwani Lohani, Chairman, Railway Board carried out an extensive inspection of the newly laid DFC section and reviewed the preparedness alongwith Shri Anurag Sachan, MD DFCCIL, Shri Rajiv Chaudhary GM NCR, senior Railway Board, NCR & DFCCIL officials and executives of the JVs/PMC. He expressed satisfaction on the timely completion of the section and reposed firm assurance that consistency of progress will be maintained in achieving the prospective targets of completion of other sections also. Thus, realizing the professed resolve of Shri. Piyush Goyal, Hon’ble Minister of Railways & Coal to transform Indian Railways into the most cost-effective, safe and eco-friendly mode of transport. Significantly, DFCCIL had recently run first Double Stack Container Freight train on the 190 km stretch between Ateli to Phulera (located on Rewari – Ajmer portion) of Western Dedicated Freight Corridor on 15th August 2018.